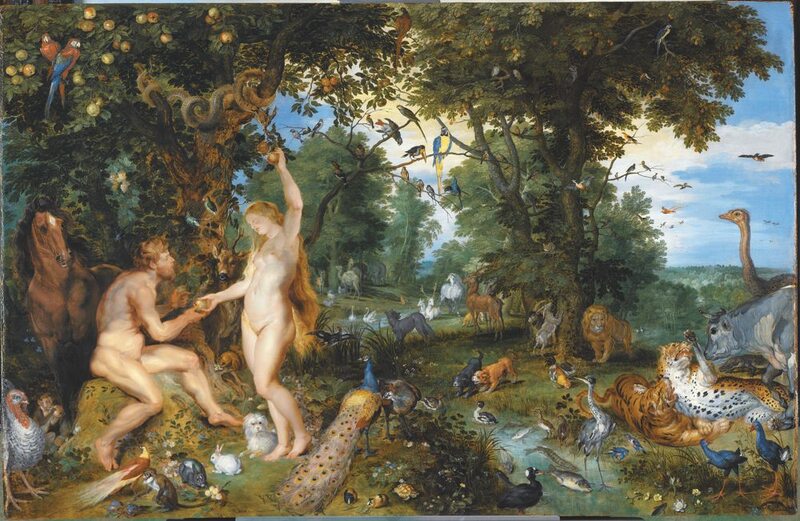 The Garden of Eden with the Fall of Man by Jan Brueghel, the Elder, with Peter Paul Rubens. The he art was born with our ancestors from a very remote epoch where the caveman expressed in Ancient Art the events, experiences and emotions experienced throughout their everyday activity. At the carousel of time, mankind was stamping its identity through art, under its various aspects, like painting with your strokes, tones and vibrant colors, the sculpture forming the most diverse materials, Literature on the meaning of words, Music with its sounds lulling the spirit, Architecture transforming the landscape, anyway, at the art history man loose in himself and brings out his feelings and emotions expressed in his artworks. 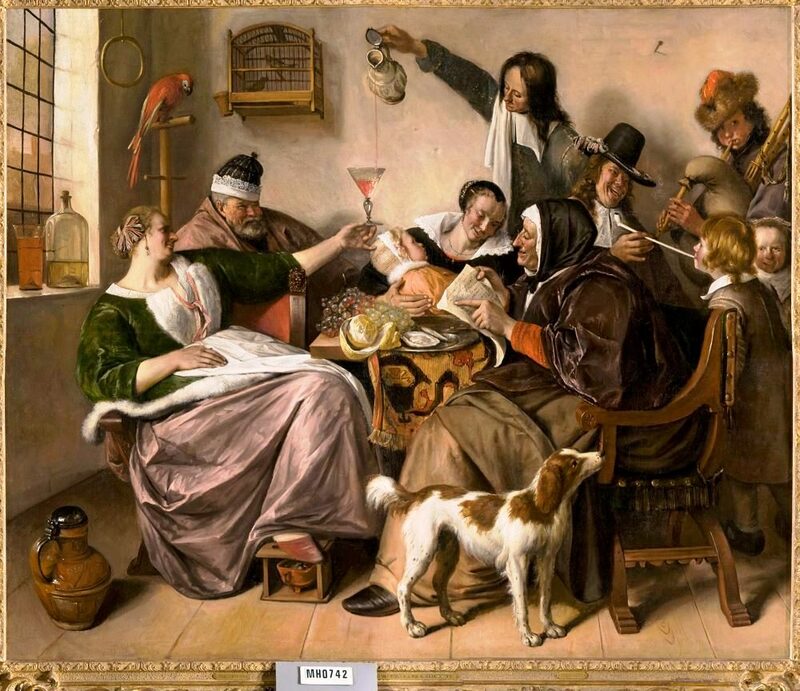 "As you hear, as we sing "by Jan Steen. 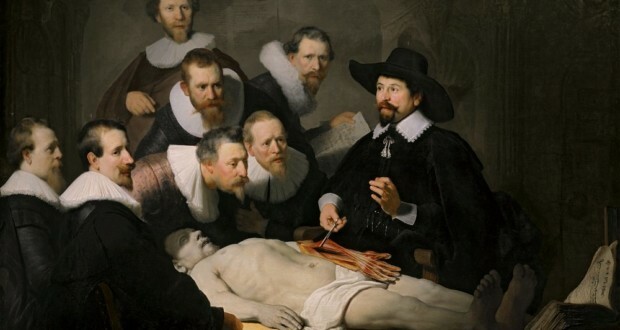 Through the ages, artists had the natural ability to express and transform these feelings and emotions that emanate from the man, and pass them to the understanding of many, using for it their creativity, making use of materials at your fingertips, within their time and knowledge of their culture, since the the most illustrious known, to the unknown, bequeathed all his Works of Art. 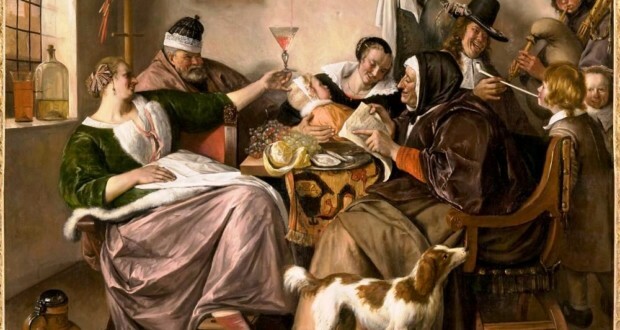 In the evolution of art history, it was used to express its styles, as Romanesque Art, Gothic, Renaissance, Baroque and Modern, classifications that art historians determined through the ages. 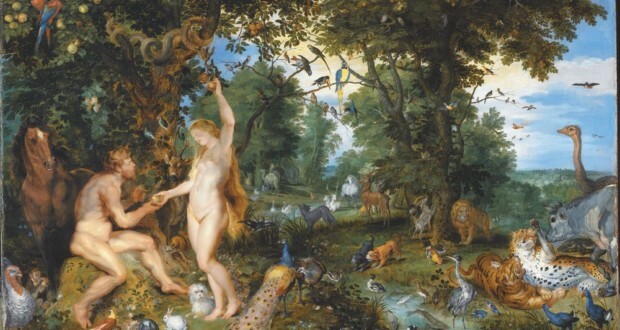 At the time scale of the art, using his imagination, the creator Artist merges your creature and turns in this timeline being a gift link in that chain linking the ancient times and the times to come, composing the art history. 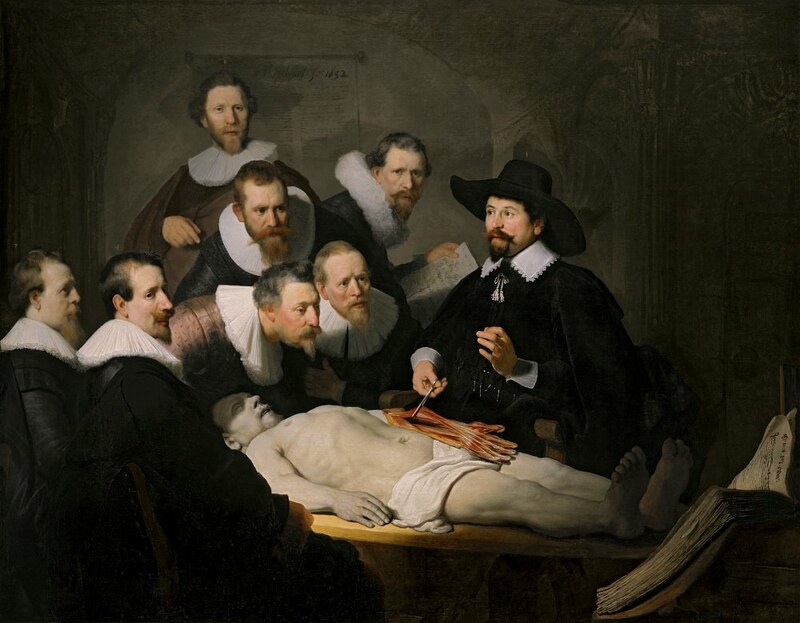 The Anatomy Lesson of Dr. Nicolaes Tulp by Rembrandt Harmensz van Rijn. So humanity, passes from generation to generation her impressions, showing the strength, and at the same time the fragility of being and its existence, perpetuating herself through her work. 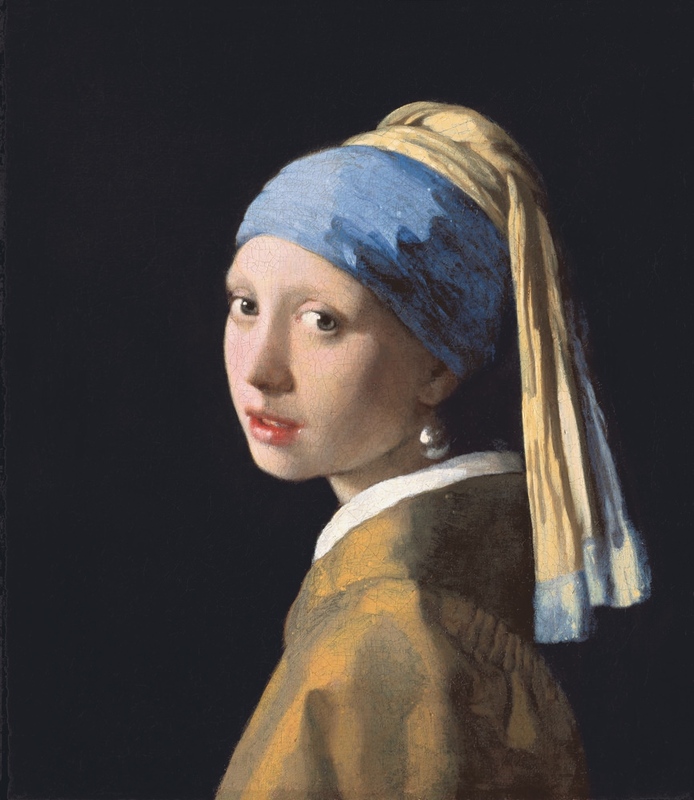 A special thanks to the Royal Picture Gallery Mauritshuis, in The Hague – Holland, private museum since 1995, which maintains this wonderful collection, whose mission is: “We share the best of Dutch Golden Age painting in our house”. 2. ENCICLOPÉDIA Barsa. São Paulo: Encyclopædia Britannica of Brazil Publications, c1994. v.3 p:159-164. This article is a sketch. 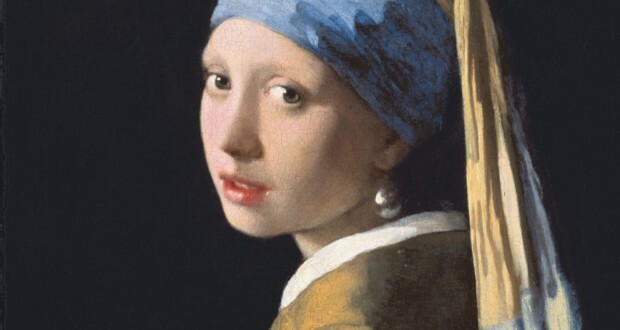 belissimo material, power would always have something like this available in my holdings., Minister já that art classrooms,.